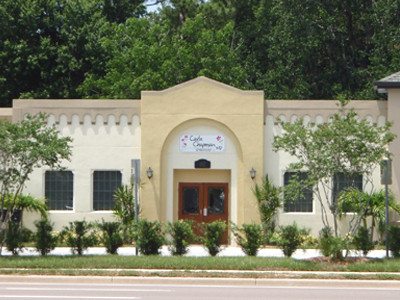 The Office is located at 2001 Manatee Ave East and will be located on your left. Head toward Downtown Bradenton (West) on Manatee Avenue. 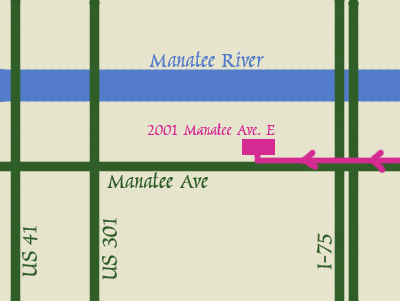 The Office is located at 2001 Manatee Ave East and will be located on your right. 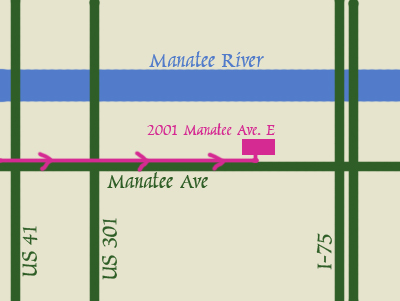 Head toward Bradenton (North) on Tamiami Trail (US 41). 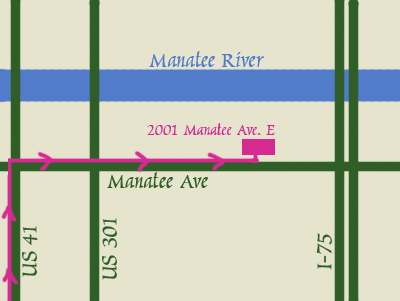 Turn right (East) on Manatee Ave.